Get rid of that unwanted tattoo once and for all with our cosmetic tattoo removal treatment. 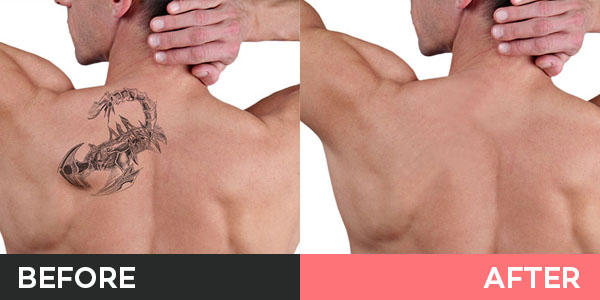 At Zen Medispa in Sydney, we use the revolutionary Picosure laser treatment, to remove tattoo ink. This advanced state of the art technology removes pigmentation making it the perfect treatment for removing tattoo ink. The results with Picosure are unparalleled as you have significantly more ink clearance from fewer treatments. Multi-coloured tattoos, including blues and greens. Black tattoo ink which is usually difficult to remove. Tattoos which were treated previously but were too difficult and stubborn to remove. Is Picosure Laser treatment safe? Yes, the Picosure treatment is safe. It can safely and effectively get rid of unwanted tattoos as it makes use of a combination of ultra-fast pulses and specialised wavelengths to minimise the heat that is transferred to the skin. Less heat applied to the skin means that less damage is done to the surrounding skin, and there is less risk of injury. Our cosmetic clinic in Burwood is proud to offer you the latest in technology, Picosure! This is one of the most effective methods of laser treatment and it is the world’s first and only picosecond aesthetic laser. Picosure works with your body to remove unwanted ink by using laser energy that is specifically targeted to remove tattoo ink. The lasers deliver ultra-short pulses of specialised highly-targeted energy. These pulses are so rapid that it can cause a change in pressure and result in successfully breaking down only the ink particles of the tattoo into tiny dust-like particles without causing any harm to the surrounding tissue. Once broken down, the tiny ink particles will then be absorbed by the lymphatic system, which is a network of vessels that helps get rid of the body’s toxins and waste. The lymphatic system will help eliminate the tiny particles of ink naturally. Clean the affected area every day with water and a mild soap. After cleansing, apply a thin layer of Aloe Vera and then cover it with a non-stick pad until the area is healed. Use a UVA/UVB sunscreen with an SPF of 30 or higher. Do not scratch the treated area. Avoid any water related activity, such as swimming, soaking in hot tubs etc. If any blistering, discomfort or swelling persists, please contact us immediately. Although these complications are quite rare to experience after a tattoo removal procedure, it is it possible. How many treatments will I require to have my tattoo removed? Each tattoo is different as there are obviously different types and colours of ink used. Using Picosure technology however, allows tattoos to be successfully cleared with half the number of treatments when compared to traditional Q switch lasers. The treated skin will feel like a sun burn for a few hours and small blisters may appear. 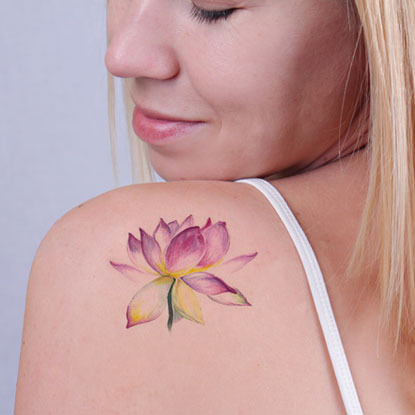 Does Picosure laser treatment remove multi-coloured tattoos? Picosure laser treatment is very effective in removing all tattoos, including black, green, blue and yellow pigmentation. Thanks to the innovative design of the laser, you’ll require fewer treatments than with other methods. Certain colours, however, are more difficult to remove, and may require more treatment sessions. These include darker colours, like red and green. The number of treatments you require will depend on the size, depth and colour of your tattoo. We will be able to advise you of the best treatment plan for your needs. When visiting the team at Zen Medispa treatments will generally take between 15 to 20 minutes depending on the size of your tattoo. Is cosmetic tattoo removal painful? You might feel a little bit of discomfort during tattoo removal, but Picosure laser treatment is much less painful than other methods. You can expect to experience some slight swelling, redness, scabbing, light bleeding, and blistering following treatment. You may also feel some itching for a few days. It is a good idea to keep the area covered for around a week following treatment. How long is the healing time after a tattoo has been removed? The healing time following the removal of an average sized tattoo, using the Picosure Laser treatment plan, can generally take around 14 days to heal, however, this also depends on the patient and the rate at which they can heal. Do you have an unwanted tattoo that you want to get rid of? Your solution is just a phone call away. Speak to us at Zen Medispa in Sydney, about the treatments that we have to offer for the removal of a tattoo. Contact us today.